Our Roomba repair center can fix or repair 99.9% of iRobot Roomba 650 vacuum problems and our repairs are backed by a 200 day limited warranty. Questions or don't see the repair you are looking for below? Call 1-855-FIX-ROBOT or contact us here. 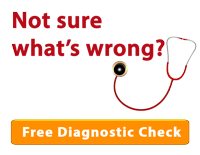 Select a repair or choose FREE diagnostics if you are not sure what is wrong. Ship your robot to us. We can send you a box and shipping label to make things as easy as possible! We receive your robot, repair it, fully test it, and ship it back. All repairs are backed by our exclusive 200 day warranty. 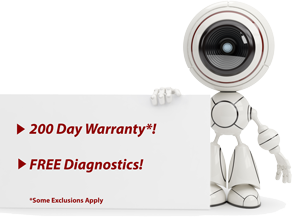 We offer the best warranty of any robot repair center! iRobot, Roomba, Scooba are trademarks of iRobot Corporation. Neato Robotics, Neato Robot, Neato XV-11 are trademarks of Neato Robotics, Inc. Manufacturer names and logos are trademarks of their respective companies and are only used to identify their products. All rights reserved. iFixRobot.com is not affiliated with iRobot Corporation or Neato Robotics Inc., and is an independent service and repair entity. iFixRobot and iFixRobot logo are trademarks of iFixRobot LLC, registered in the U.S. All other trademarks, logos, and brands used on this site are a property their respective owners. iFixRobot.com is owned and operated by iFixRobot LLC.